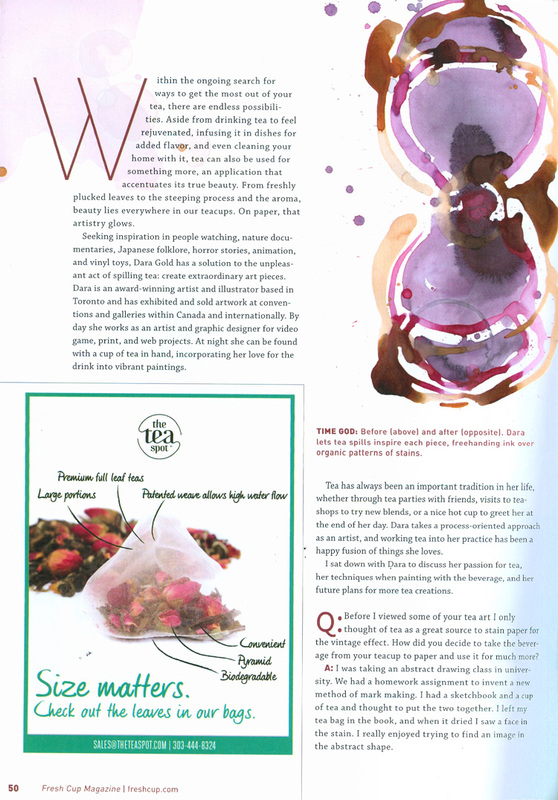 In December Fresh Cup Magazine released their 2014 Tea Almanac. Fresh Cup has spent the last two decades covering stories that specialize in coffee and tea. Featuring growers, retailers, blends, small tea & coffee shops and tea artisans. 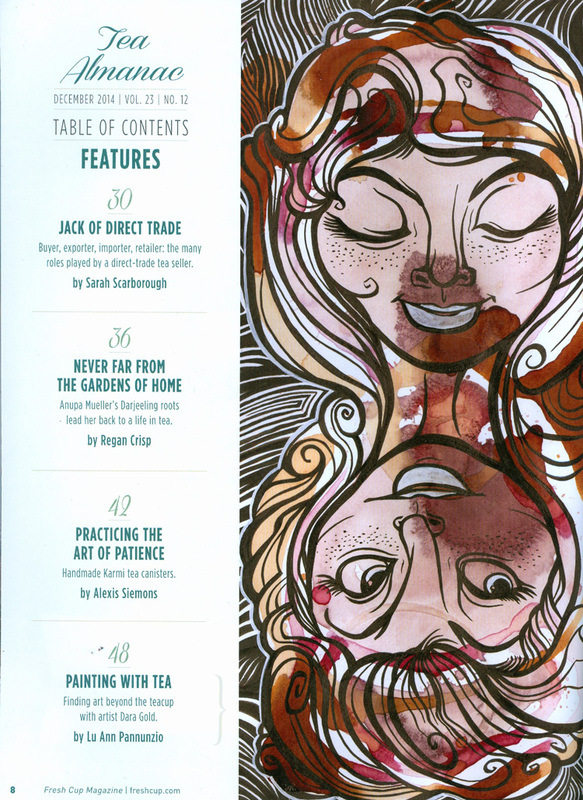 I’m overwhelmed by the fact that my art and an article about my tea stain process was one of the featured articles in the 2014 iteration of their annual issue devoted entirely to tea. 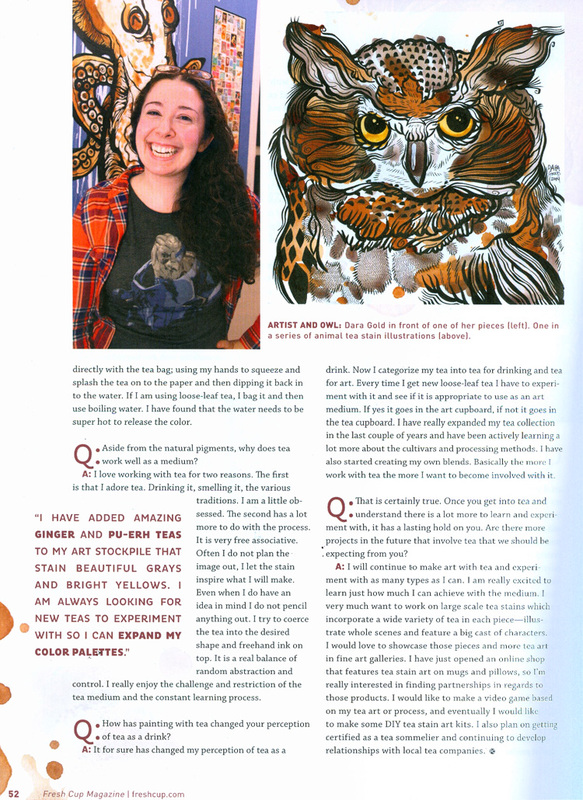 I was interviewed by the lovely tea blogger Lu Ann Pannunzio of The Cup of Life. featured in the table of contents! 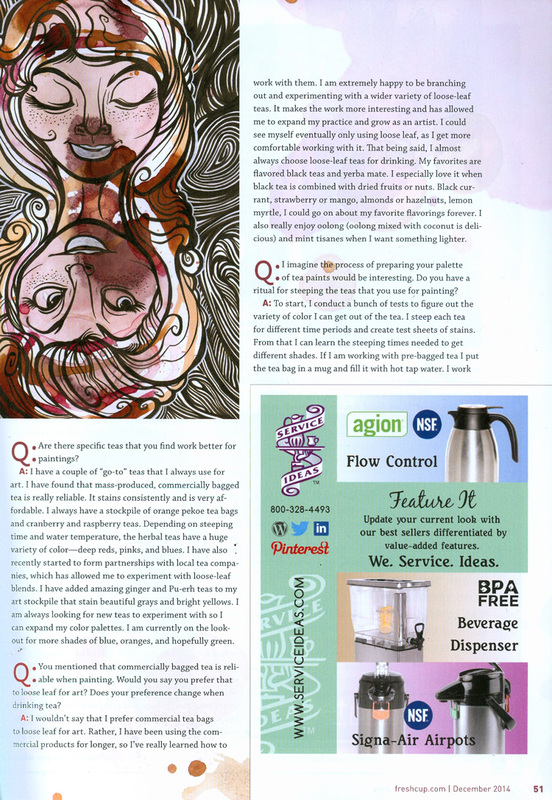 Make sure to check out more of Lu Ann’s writing over on her blog. You’ll find tea reviews and a plethora of other tea based goodies. 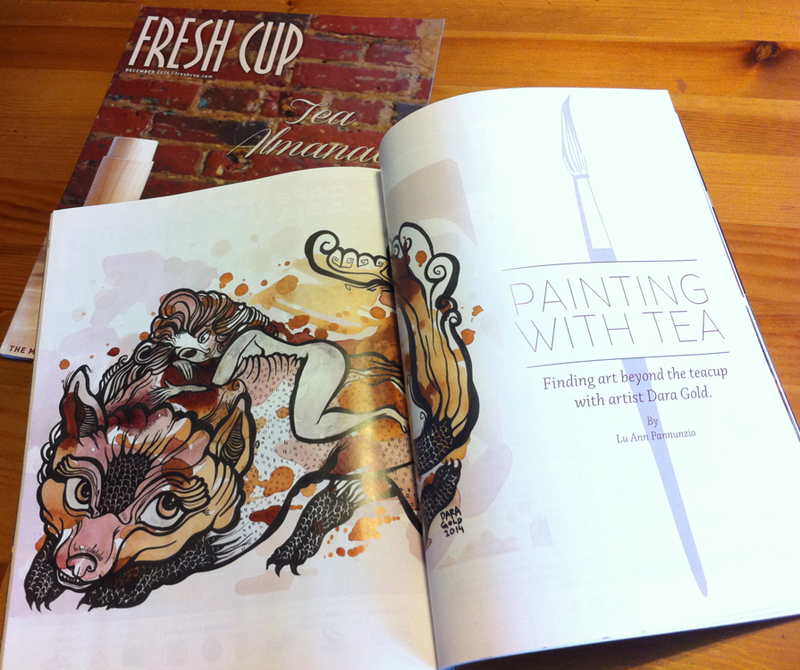 If you want an even deeper dive into the world of tea, consider subscribing to Fresh Cup Magazine. And as always you can stay up to date with me online.